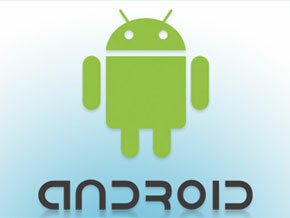 Google opened a web-based version of its Android Marketplace Wednesday. NEW YORK ( TheStreet) -- Google ( GOOG - Get Report) announced a Web-based Android Marketplace on Wednesday that allows consumers to download apps from their Web browsers. Previously, users could only buy apps from their mobile devices. Shares of Google fell 0.01% to $611.96 in pre-market trading Thursday. THQ ( THQI fell 10% in pre-market trading Thursday, after posting a third-quarter loss and lowering guidance for the current quarter. The company now sees adjusted earnings of 5 to 15 cents a share for the fourth quarter on sales ranging from $245 million to $260 million. Its previous view called for earnings of 35 to 45 cents a share on sales of between $295 million and $310 million. Viacom ( VIAB said Wednesday that it had signed a partnership with Hulu, giving it access to programming on several of its cable networks, including MTV, Comedy Central and BET. Under the terms of the deal, Viacom is giving Hulu access to The Daily Show and The Colbert Report, both of which were dropped a year ago from the online video service after the two sides couldn't agree on financial terms. Shares of Viacom fell 2.2% in pre-market trading Thursday. BMC Software ( BMC was down 2.5% to $46.99 after missing Wall Street's earnings estimates by a penny despite posting better-than-expected revenue for the third quarter. BMC generated sales of $540 million, up 6% on the same period last year, and above analysts' forecast of $528.8 million. Excluding items, however, BMC earned 79 cents a share, up 4% on the prior year's quarter. Analysts had predicted earnings of 80 cents a share. Instagram, the popular photo sharing application for Apple's ( AAPL platform, has raised $7 million in venture funding, the company said Wednesday. Founded two months ago, Instagram boasts 2 million users who upload 290,000 photos every day. The funding will be used to expand the company's staff and to build apps for other smartphones, such as Google's Android operating system.